Martin Campbell’s an interesting director. He specialises in these action-heavy B-movies and has even directed a few Bond movie: Casino Royale and GoldenEye. He’s very much a mixed bag. On one hand, he’ll give you Casino Royale which is one of the better Bond films and on the other, he’ll deliver an absolute turkey of a film like Green Lantern. However, he’s been doing this for a while now and he knows how to direct good action set pieces, of which The Foreigner has a few. 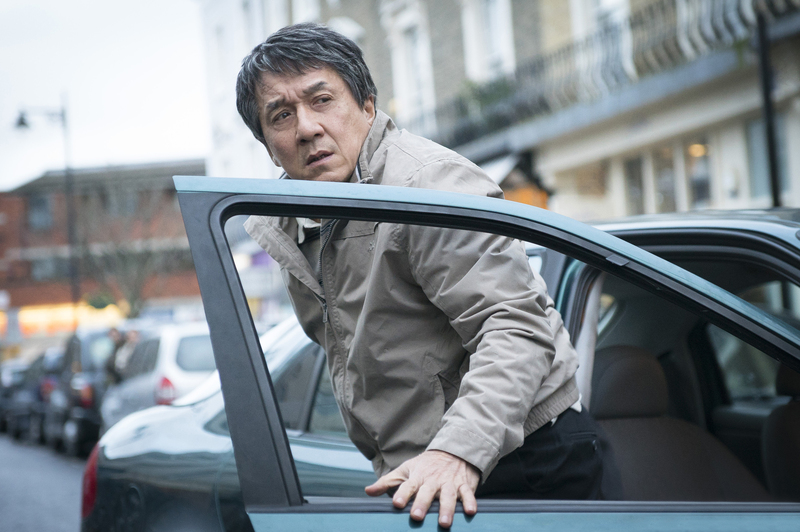 His latest flick, The Foreigner, sees him reunite with his GoldenEye lead, Pierce Brosnan who stars alongside the martial arts movie master, Mr. Jackie Chan. Chan is Quan Ngoc Minh, a retired Vietnam War special operations forces soldier living in London with his daughter. 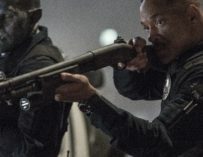 When his daughter is one of the victims of an IRA-related terrorist attack, Quan finds himself going all Liam Neeson in Taken-esque and starts hunting down the people behind the attack which pits him against Brosnan’s Liam Hennessy, Northern Ireland’s deputy First Minister, who may or may not have ties to the terrorist group calling themselves the ‘Authentic IRA’. Mr. Hennessy, please find out the names of the bombers. First off, let’s start with the positives. As I said before, Campbell knows how to direct a good action set piece and The Foreigner has a few of them, mostly involving Jackie Chan kicking and punching a lot of people Jackie Chan-style. The movie’s best set pieces take place in a wooded area where Chan’s Quan adopts home Home Alone techniques to nullify some Northern Irish bad guys. 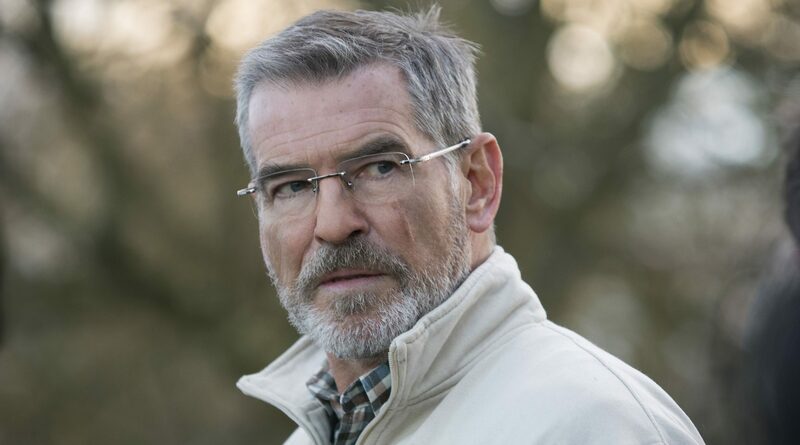 Another positive is Brosnan’s performance. I really like him as the untrustworthy government official and he delivers one of his best performances of the past few years. Brosnan and Chan play really well off one another and the scenes between the two of them are quite captivating. Chan’s also showing another side to his acting ability in this film. Yes, he does the spinny kicks that we all love, but he’s also believable as the bereaved father who’s trying to get justice for his daughter’s death. However, that’s where the positives end. 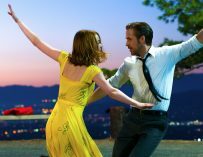 The film’s main issue is the plot and characters’ motives which don’t really make much sense. Quan’s big plan in this movie is to found police and government officials for the names of the bombers and when they tell him they don’t know who they are yet, he proceeds to place bombs in government buildings, kill most of the Northern Irish deputy First Minister’s security guard…? It just doesn’t make sense. But it’s all OK because, of course, it all works itself out in the end. (I’m not considering that a spoiler because everyone knows how these sorts of movies end). I work for the government, not terrorists. That said, Chan and Brosnan’s performances make the film worthwhile and the fact that it’s on Netflix helps. I wouldn’t want to have to go through the bother of having to go to the cinema, pay for my ticket and sit down and watch this movie for 2 hours. It’s far more enjoyable and rewarding watching The Foreigner from the comfort of your own home.